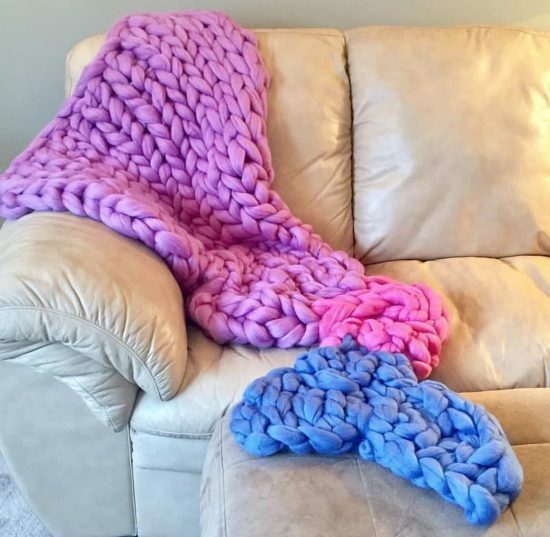 Learn how to Arm Knit Mermaid Blanket Pattern in less than 2 hours with this easy Pattern and Video Tutorial. You are guaranteed to love the stunning results. 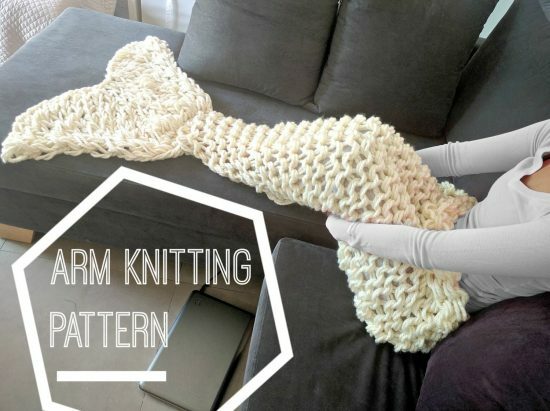 Arm Knitting is a very simple, quick and easy technique and you’ll love the results. 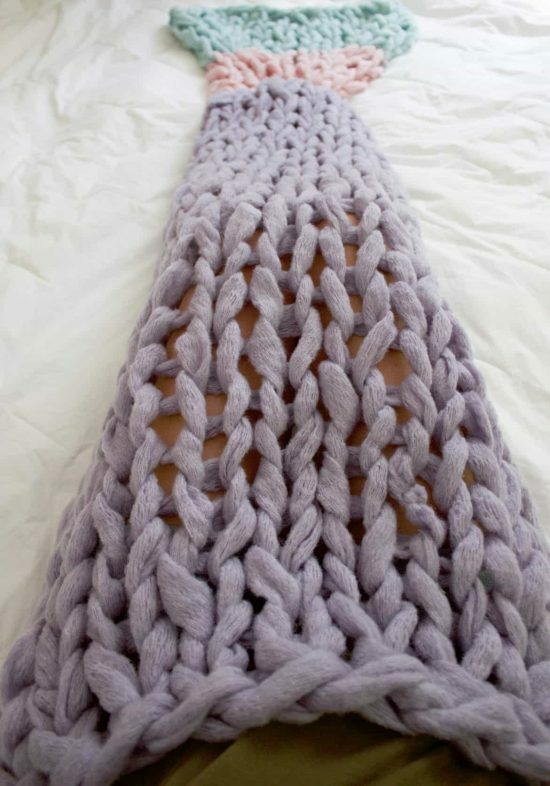 You don’t need to be an expert at knitting or crochet to produce this gorgeous Mermaid Tail Blanket – you can make it from start to finish in less than 2 hours, with no needles. This pattern is classed as Beginner Level so very straightforward and it can be made to suit child to adult. It’s a lovely gift too. 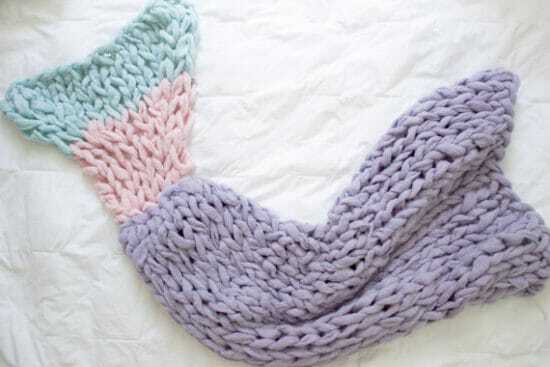 The pattern creator suggests for adjusting the pattern to suit a child size that you simply cast on fewer stitches and knit fewer rows on the body – around 15 stitches for the body and knitting around 20 rows should give you the perfect size. 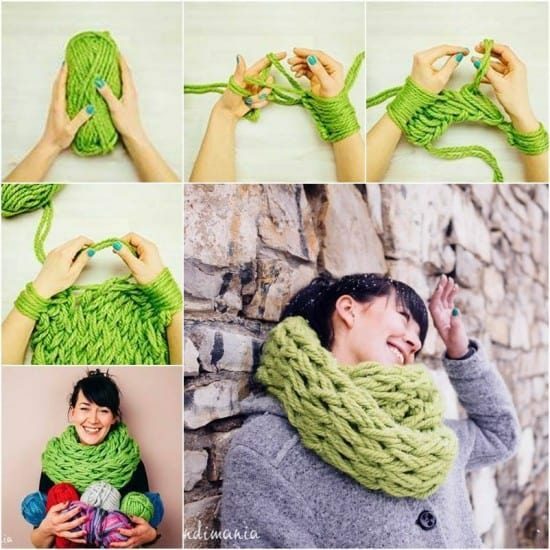 As you can see from all the photos above, Arm Knitting results in a beautiful chunky look and feel. 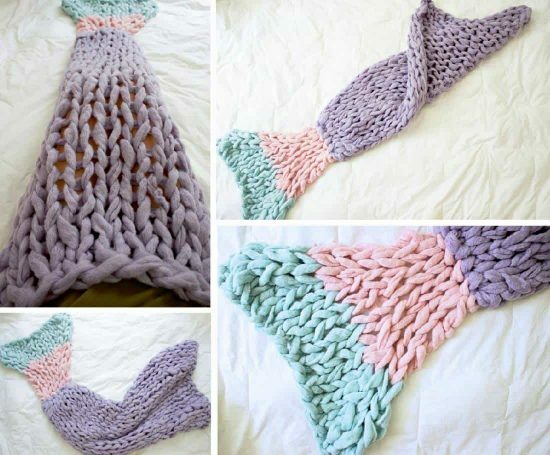 Once you’ve created your Mermaid Blanket simply hand wash it and lay it out completely flat to dry so that it retains its shape. 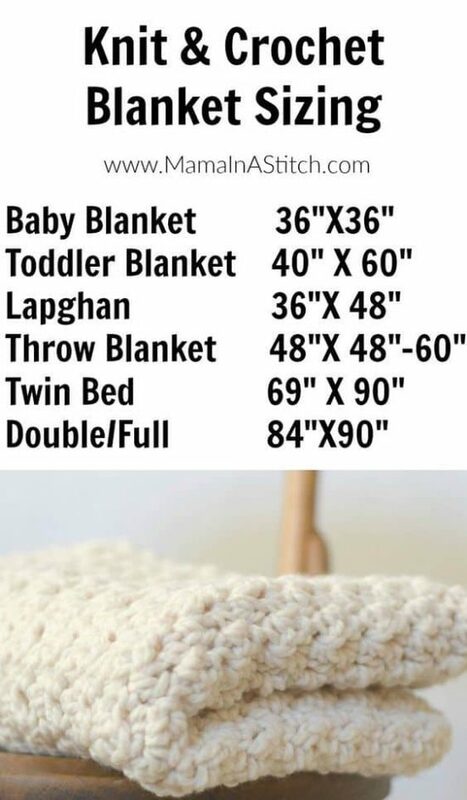 This blanket size chart will come in so handy for all your knitting or crochet projects. Don’t forget to Pin it. Thanks to Mama In A Stitch for the great information. 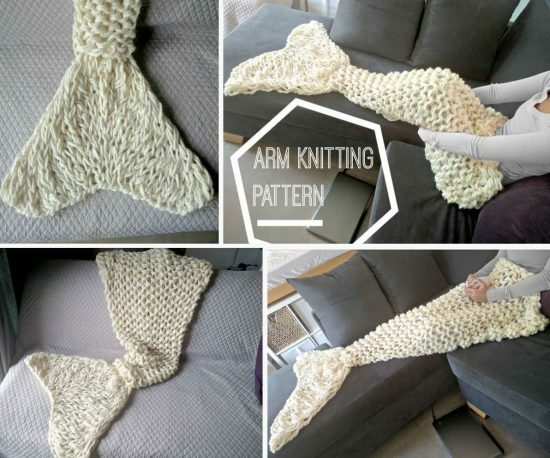 This handy infographic on yarn weights and gauges will help choose the right yarns when you Arm Knit a Mermaid Tail Blanket Pattern so be sure to save it!